When did Popcorn Movies become a bad thing? Disappointingly, I missed a lot of films on the big screen in 2012. Many of them I was greatly anticipating, but life just got in the way. So when Dredd showed up in my mailbox, I was very excited as many other film enthusiasts I know raved about it, and were perplexed by its poor performance at the box office. Many people just attribute it to the fact that the Stallone film based on the same material, Judge Dredd from 1995, has still left a bad taste in moviegoer’s mouths. So the question remained, does Dredd hold its own? In the future, America is a wasteland. The states have dissolved and only 5 massive cities, Mega Cities, remain. Mega City One runs from Boston to Washington DC and is a corrupt, criminal infested metropolis full of wanton violence. The only law on the streets are Judges; individuals granted the power of judge, jury and executioner. The most infamous of them is known as Dredd (Karl Urban). On a routine day, Dredd is assigned to train a potential new Judge named Cassandra Anderson (Olivia Thirlby), a rookie with astonishing psychic abilities. When the two investigate a possible multiple murder at a 200 storey slum apartment building, they get trapped inside and are hunted down by legions of thugs under the control of Ma-Ma (Lena Headey) a ruthless crime boss who will stop at nothing to protect the production of her new drug, Slo-Mo, from being stopped. I am sure I am among many movie fans who, now that we have seen Dredd, really wished we would have made time to see it in the theatre. This is full blown action fun at its best. The depiction of the future is bleak and depressing, but very well executed, Karl Urban is a perfect Dredd, even going so far as to never remove his helmet throughout the entire film, Lena Headey is a wondrously fantastic villain and I hope filmmakers take note of her and cast her more in mainstream films. Ever since the excellent Sarah Connor Chronicles TV show, and now Game of Thrones, she has been one of my favorites and is depressingly underused in films. The action in Dredd is fast paced, tons of fun and inventive. And for those thinking this was basically a rehash of the Indonesian film The Raid, fear not, except for the main plot idea, the stories are carried out very differently and do not feel like rip offs of one another. Dredd is a high octane, very well made, beautifully filmed, well-acted action film that is well worth your time and one of the best action films of 2012. Highly recommended. The Blu-ray from Alliance is brilliant. Although the future of Dredd is grimy and dark, the transfer is nice and clear with excellent detail throughout. The look of the film is intentionally hazy but it is all rendered perfectly here and looks great, especially accompanied by a very active surround track. 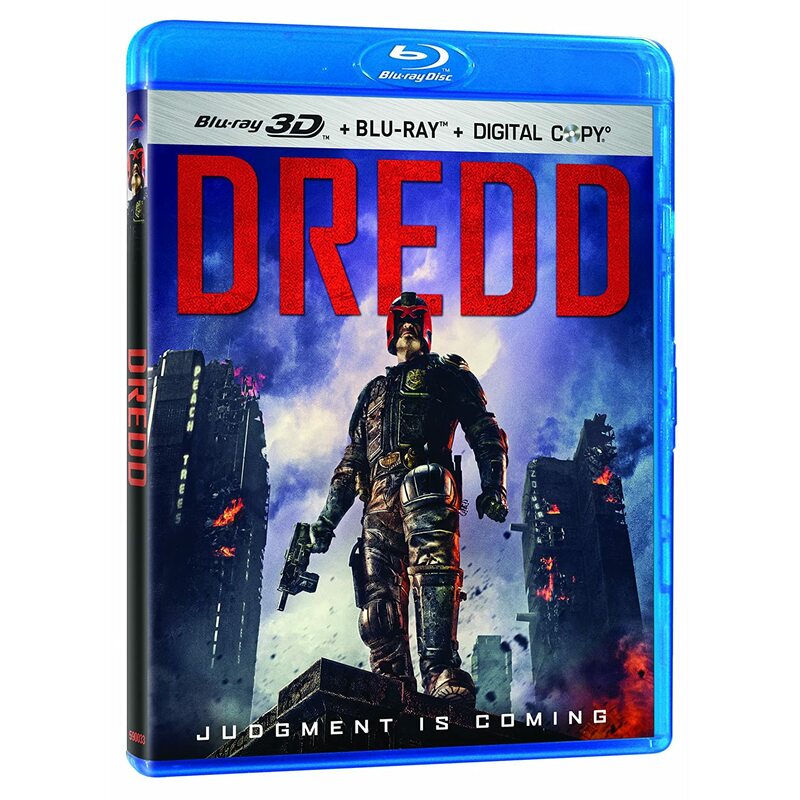 One of the box office misses of the year has made one of the best blu-ray releases of the year, check out Dredd for yourself. Available January 8, 2013 on Blu-ray and DVD.